A total of seven African players are now available for nothing from English Premier League clubs. The league has released a list of all the players who are now free agents. 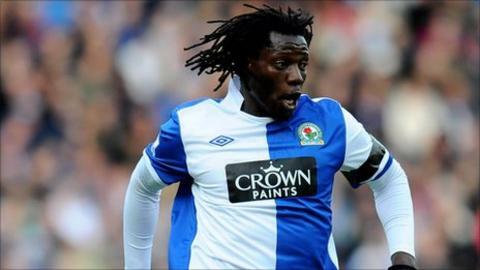 Zimbabwe striker Benjani Mwaruwari's contract with Blackburn Rovers has also come to an end. However he has told media back home in Zimbabwe that he is set to return to England soon in order to sign a new one-year contract. Senegal's Abdoulaye Faye has already completed his free transfer from Stoke City to relegated West Ham, while his team mate and compatriot Ibrahima Sonko is also on the list. Aston Villa had already announced that Togo's Moustapha Salifou would be released. Ghana goalkeeper Richard Kingson, who failed to establish himself at relegated Blackpool, can also leave the club for nothing. The others on the list are the Fulham pair of Senegal's Diomansy Kamara and Ghana's John Pantsil as well as Ivory Coast's Abdoulaye Meite, who has been released by West Bromwich Albion.